So, in the mid 1920s , the police were hot on the trail of teh Genna brothers (as you know, if you’ve been reading this)> Shortly after the death of Tony, the third to be killed in six weeks, the remaining Gennas wisely went into hiding. Around this time, a couple of workers in the freight tunnels – the 63 miles of tunnels 40 feet below the loop used to move coal, ashes and other such junk around – reported being attacked by a thug with a blue steel pistol who told them to get lost and get lost fast. 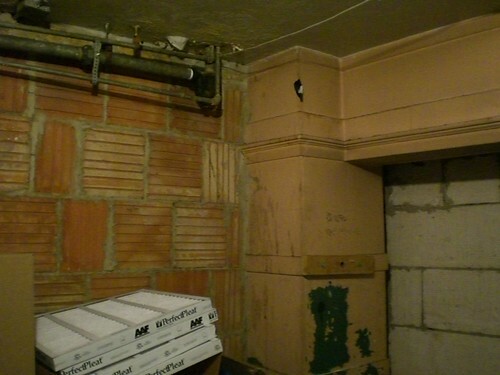 Believing it to be another Genna brother (or, more likely, another gangster named Tony Spano who was a Genna ally), 250 cops took the tunnels and made a full sweep, but came up empty handed. 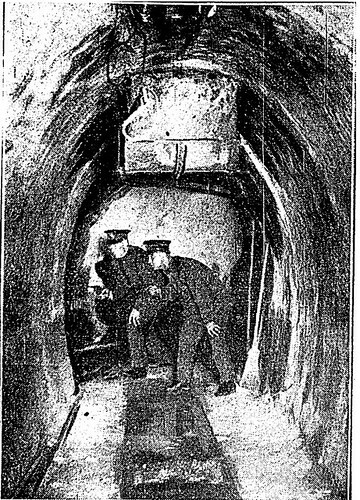 The story of gangsters using the tunnels – and every other tunnel in the city – captured the popular imagination. Nowadays, shows on cable like to make it look like the gangsters built the tunnels themselves. They didn’t, but they were certainly a convenient place for them. A gangster could disappear into them and never be found.